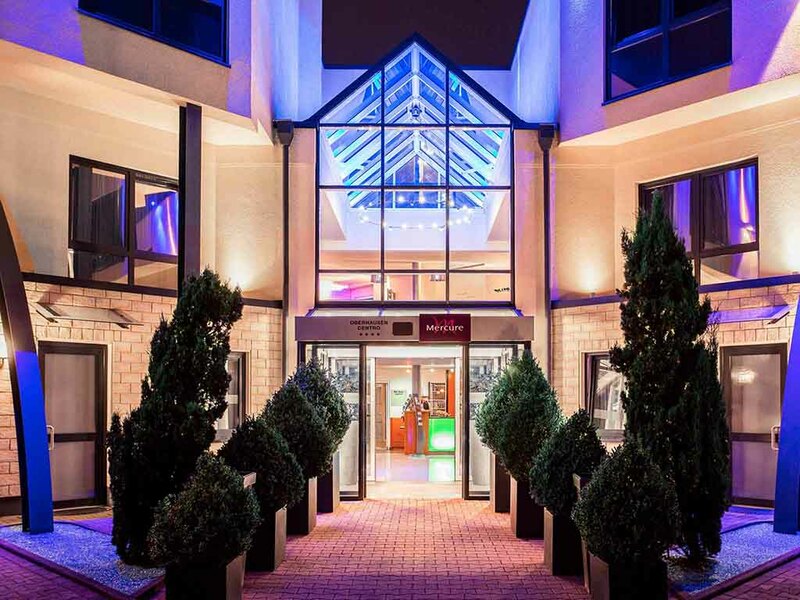 The 4-star Mercure Hotel am Centro Oberhausen is non-smoking and features 93 light, spacious rooms with free WIFI. Parking spaces are charged at EUR 2 per day. Its convenient location makes this hotel the ideal starting point for tourists and business travelers alike. Indulge yourself in the "Revier à la Carte" hotel restaurant or enjoy a cocktail at the "Streb" hotel bar. 3 functions rooms for up to 80 people are available. Oberhausen has undergone a structural change - and done so with much energy and creativity. This is evident in the impressive way around the CentrO in the new center of the city, to which Oberhausen is indebted for this major image enhancement. Mercure Oberhausen : 939 Mercure Oberh. At the 4-star-superior Mercure Hotel Centro Oberhausen, you have the choice between Standard, Superior and Privilege rooms and Junior Suites. The spacious Superior Rooms feature rain showers. Located on the ground floor, Privilege Rooms have separate access and, on request, a parking space outside the door. All 94 rooms offer free WIFI. Two children up to the age of 12 can sleep free of charge in your Privilege Room. Your pet is welcome to stay with us (EUR 10/night). German and Mediterranean delicacies are available Monday to Friday from 6pm to 10.30pm in our modern "Revier à la carte" restaurant. The outdoor terrace is also available during the summer months. The "Streb" bar has modern décor and wi-fi. Enjoy your favorite beverage and meet other guests in a convivial atmosphere. Open daily from 17:00 to 01:00.